Youth Brass 2000 has teamed up with Centre Stage Percussion with a three year endorsement agreement. Following on from completing a 2018 Grand Slam Youth Brass 2000 are delighted to have entered a three year endorsement agreement with Centre Stage Percussion, the band’s percussion section now having access to the full range of Centre Stage mallets and beaters and the company supporting the bands access to percussion instruments. 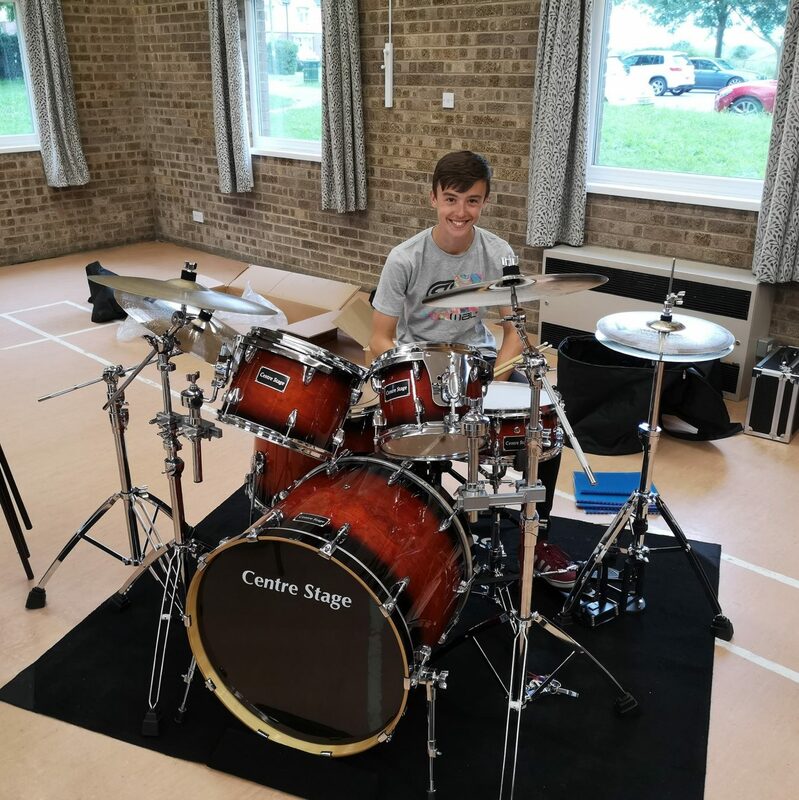 Here is Joshua with our new kit - one very happy bunny! Click the thumbnail picture for a big image!